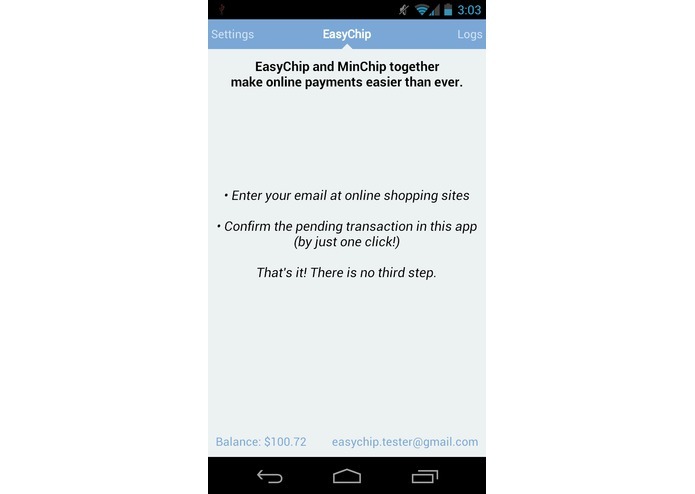 With the cryptographic nature of MintChip, the (conceptual) application EasyChip makes online payments easier than ever. No need to remember passwords for numerous websites. No need to enter annoying registration forms any more. No need to scan barcodes or other things. 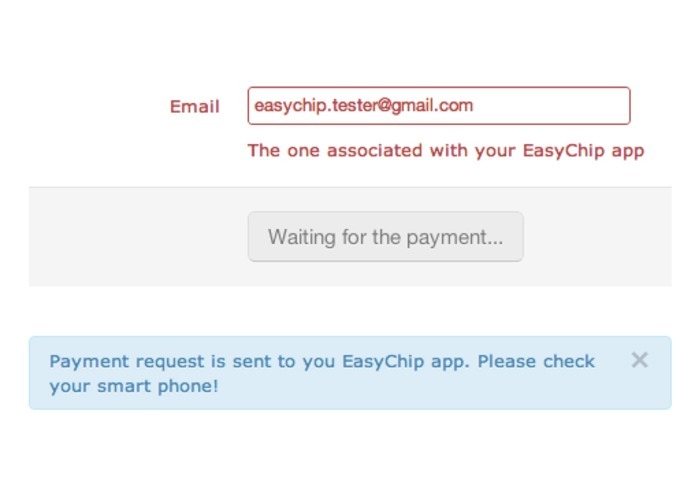 Just type your email address on the merchant websites. Choose an email to associate with the app when you first open it. 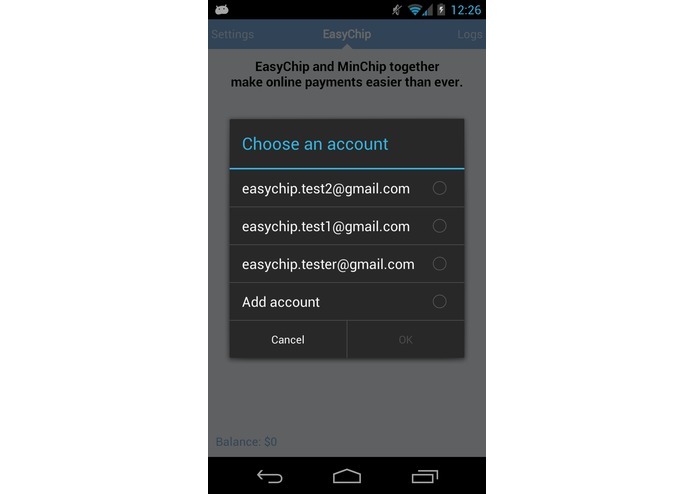 If you only have one email account on your phone, then the app will automatically choose that email for you. This step only needs to be done once. 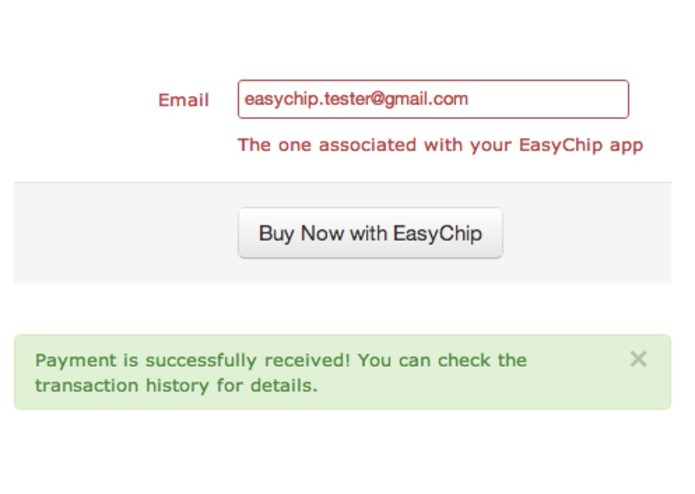 Enter the email you choose when you want to purchase something online. 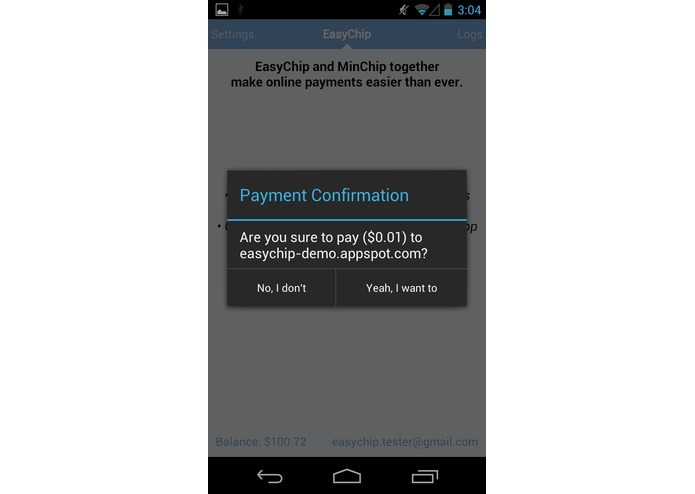 Manually confirm the payment on your phone for security. The payment will automatically sent to the merchant website. Google Cloud Message: for time- and power-efficiency. Google App Engine: for stable and secure service environment.